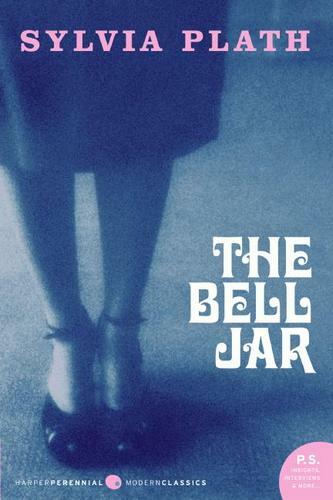 We begin with The Bell Jar by Sylvia Plath. Shamefully, it’s a book that I read (*ahem* skimmed) during high school and one that I haven’t revisited. I really should give it the attention it so obviously deserves. Another book that I skimmed (but somehow retained) during high school was The Leopard by Giuseppe Tomasi di Lampedusa. Not the usual fare for a teenage girl, I picked it up because I was studying (and very much enjoying) modern European history. The Leopard is about the Italian civil war, which leads me to Jonathan Grimwood’s ripping good read, The Last Banquet. In this story, the main character, Jean-Marie d’Aumout, finds himself held prisoner in the thick of Italian civil war. But of course The Last Banquet is predominantly about the French Revolution and for that you can’t go past what is considered one of the greatest novels of all time – Victor Hugo’s Les Misérables. It’s a doorstop of a book (it took me the good part of one summer to read it), so lots of people opt for the musical instead. And yes, I do enjoy a bit of Les-Mis-stage-action. 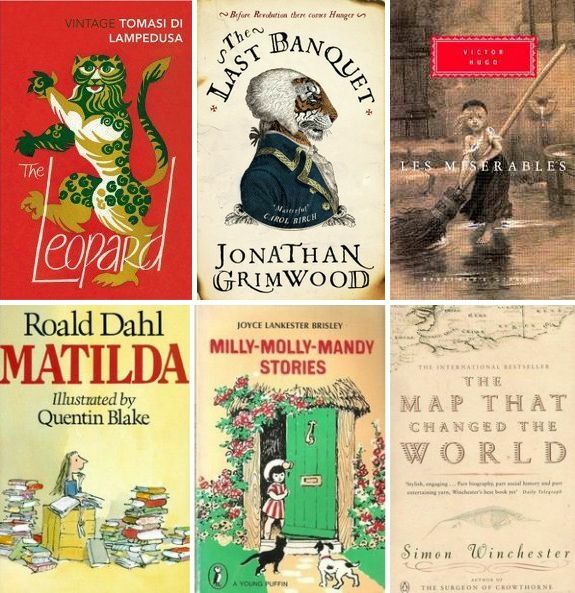 Which brings me to another book adapted as a musical (that I also really enjoyed) – Roald Dahl’s Matilda. I saw the stage production when I was in London earlier this year. I’m still singing the tunes – truly spectacular and musical creator, Tim Minchin, stayed true to the story. I’ll be first in line for tickets when it comes to Australia (in 2015) and, as I said to a musical-loving-friend, “It shits all over Annie.” Really. From one children’s book to another, Matilda leads me to my childhood favourite – Milly Molly Mandy by Joyce Lankester Brisley. The thing I loved most? 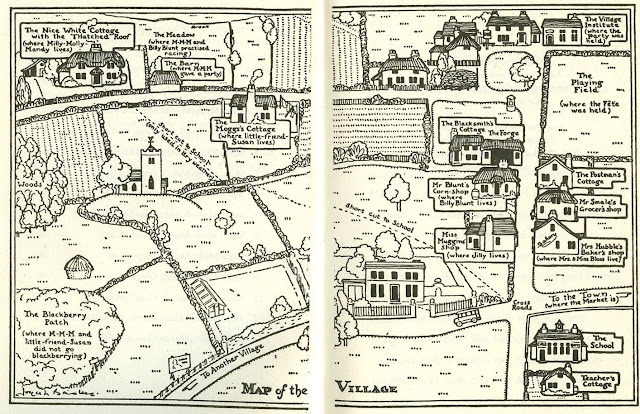 The map at the front of each collection of stories (below). Combined with the fact that my dad was a lecturer in geography at the time and many of my preschool years were spent on Melbourne Uni geography field trips, it’s little wonder I like maps. So I end on The Map That Changed The World by Simon Winchester – it’s historical ‘fiction’ at its best and if you love maps, all the better. Thanks again to Emma Chapman and Annabel Smith for hosting this excellent meme. Looking forward to the next one. Very nice! I haven’t read the Last Banquet yet but I would love to… I’m going to see if you reviewed it. Yes, I did give The Last Banquet a glowing review – it was so much FUN. And different. And a tad shocking in some bits. One of my favourites last year. I enjoyed your chain – it’s so interesting to see where one book leads. My 8 year old is reading Milly Molly Mandy at the mount and loving it. Brings back so many fond memories! Oh to be 8 and read it all over again! I remember a TV show of Milly Molly Mandy with a catchy song – but for some reason can’t remember the books at all. Milly Molly Mandy, one of my childhood favourites. I was given the box set (goodness only knows where my copies from all those years ago went) a few years ago and delighted in re-reading them. Another great selection, isn’t this a great meme? I loved Matilda the stage musical – so wonderful. I especially liked Miss Trunchball – exactly how I imagined her! Thanks for joining in with the meme again! I loved reading Milly Molly Mandy to my daughter Stephanie; went on for several years as she never seemed tired of them, especially when I was a bit creative with some of the voices! I love doing the voices. I really enjoyed reading Harry Potter to my son for that reason. Hermione is my favourite voice to do. I opted for the Les Mis movie and it made me glad I never attempted the book! I have fond memories of Milly Molly Mandy stories too! I’m with you Shelleyrae – I’m always turned off by doorstop books but adored the musical of Les Mis. I had the music and used to bash out some tunes on the piano and sing along. I’m sure it sounded dreadful but I had a good time. I really need to see the show that ‘shits all over Annie’ – because I think Annie is pretty awesome! Your post was payback time because I have’t read any of your books either. Meme anxiety put to bed! Nice link, Annabel told me you included Matilda in your chain, like me! Can I just say I loved the Musical references, I thought Les Misérables and Matilda were fantastic onstage! Nice picks 🙂 Here is my list! I had no idea Tim Minchin was behind a stage adaptation of Matilda! I’m very, very excited. Great links! I loved The Last Banquet too – it was quite a physical read, but thoroughly enjoyable.